Another way in which you can get flexibility with your forms is through the use of the PDF Destination, which is available on our paid plans. 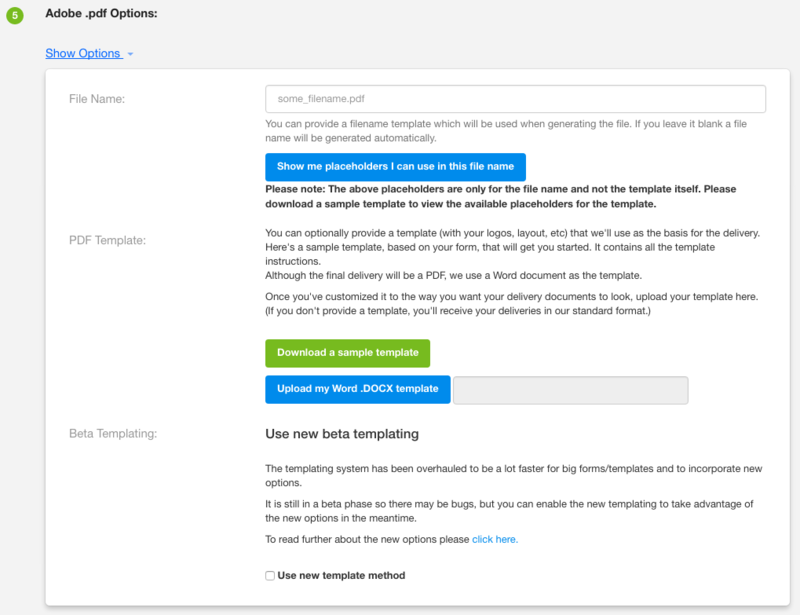 With the PDF Destination, you can export your form and send it to the recipient in PDF format. A new page will load, and on it you will see different destinations to send your data. In this example, "E-mail" has been selected. After selecting the destination, choose the "PDF" format. This section is where you can add a file name (not required), view the available placeholders (by clicking "Show me placeholders I can use in this file name"), and download a sample template (so you can see how your PDF form will look, and so you can see the available placeholders). Fill in the e-mail addresses you want to send the PDF to. The final step is to click "Create Destination". You will then be taken back to your Forms page, where you will see your new destination added to the list. 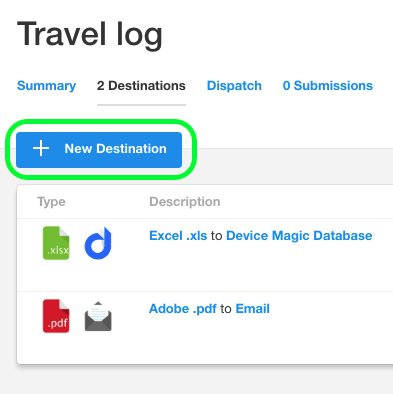 Lastly, upon submission of data, you will receive the PDF version of your form at the destination you selected. 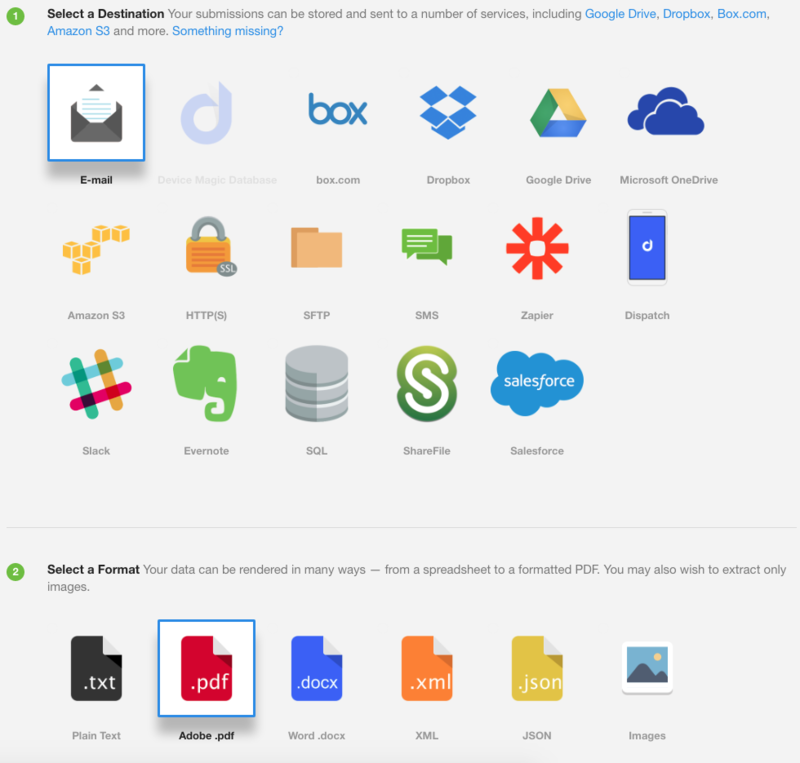 This completes our overview of adding the PDF destination. If you have any questions or comments feel free to send us a message at support@devicemagic.com or leave us a comment below.